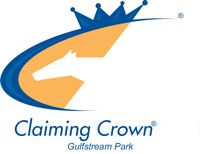 December 1, 2012 — Following Parent’s Honor’s upset victory in the $200,000 Claiming Crown Jewel on December 1, the ceremony in the Gulfstream Park winner’s circle might as well have been a coronation for owners Ken and Sarah Ramsey and trainer Mike Maker. “I was saying we should be called the King and King and Queen – my wife, we’ve got to put her in – of the Claiming Crown,” said owner Ramsey, who visited the winner’s circle after four of the seven Claiming Crown races run for a total of $850,000 in purses on the opening day card of Gulfstream’s 2012-2013 meeting. 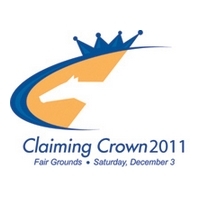 The Ramseys cemented their status as the leading owners in the 14-year history of the Claiming Crown with 10 overall victories, while Maker made it to the top of the trainer standings, opening up a three-win margin over Scott Lake with 11 overall wins in the event that honors the blue-collar horses that are the very foundation of the racing industry, the claimers. 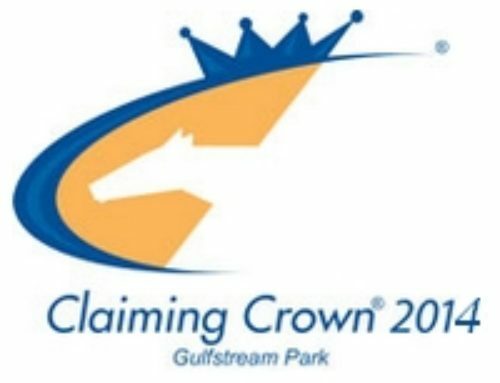 The Claiming Crown, which was staged at Gulfstream Park for the first time and co-founded by the Thoroughbred Owners and Breeders Association and National Horsemen’s Benevolent and Protective Association, contributed to a banner opening day, when the total handle of $12.2 million represented a 66 percent increase over last season’s opening day. Capping an already big day for his owners and trainer, who had visited the winner’s circle with Starsilhouette ($125,000 Tiara), Brother Bird ($100,000 Iron Horse) and Bernie the Maestro ($100,000 Rapid Transit), Parent’s Honor staged a furious stretch run under jockey Alan Garcia to prevail by three-quarters of a length in the Jewel. Parent’s Honor, who was sent to post at 16.20-1, won for the first time in three starts for Maker and the Ramseys since being claimed for $35,000 at Saratoga in August. 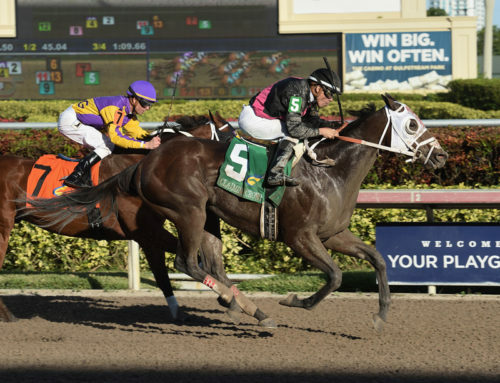 Parent’s Honor, who finished a distant fifth and ninth in his last two stakes appearances, received a dream trip under Garcia, saving ground around the turn into the homestretch and finding a hole between horses in deep stretch to surge to victory. 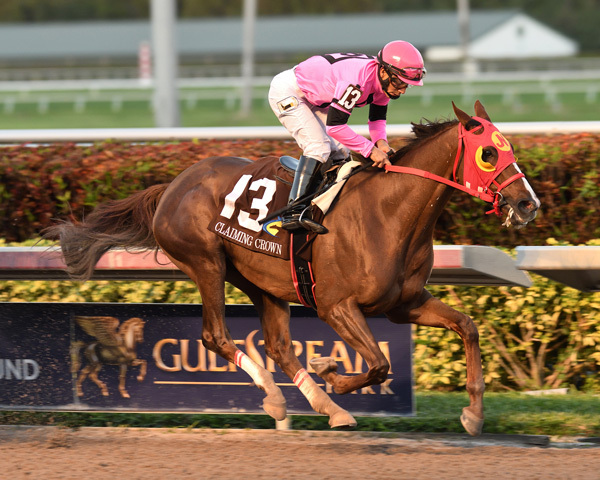 Dominant Jeannes, who overcame traffic on the turn to grab the lead in mid-stretch under Joe Rocco Jr., finished second, 2 ½ lengths ahead of Flatter This and jockey Jose Lezcano. 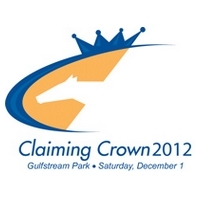 Parent’s Honor, who ran 1 1/8 miles in 1:50.03, earned $110,000 for his victory in the finale of the Claiming Crown. 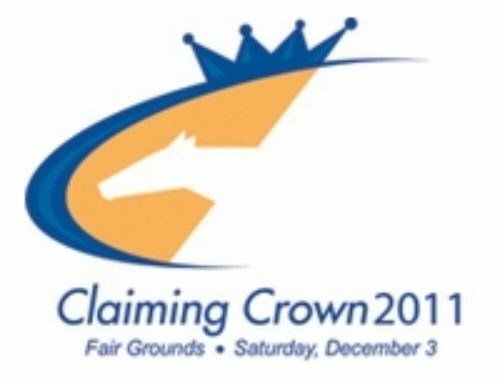 The Ramseys’ Major Marvel came up a head short of giving his trainer and owners a fifth Claiming Crown victory on the day in the $125,000 John Deere Emerald, the race prior to the Jewel won by Nikki’s Sandcastle ($6.80). 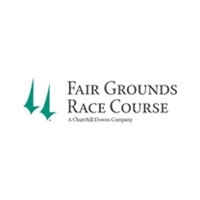 The David Kassen-trained winner received a ground-saving trip under jockey Corey Lanerie before wearing down Major Marvel through a protracted stretch duel. 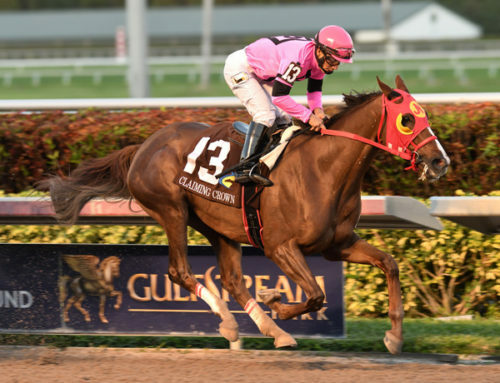 Nikki’s Sandcastle, who was eligible for the 1 1/16-mile turf race with an appearance in a $25,000 claiming race on July 3, 2011, was clocked in 1:43.13 while breaking a three-race string of second-place finishes in open stakes races. Ken Ramsey, who led each of his winners into the winner’s circle, had horses in six of the seven Claiming Crown races and would have had a starter in all seven if not for a late scratch. 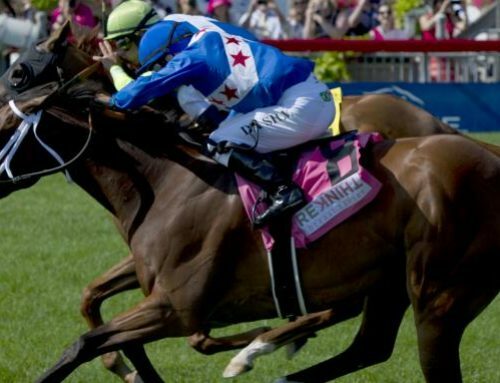 Although he has had much success in major stakes races and stands the successful stallion Kitten’s Joy, Ken Ramsey still enjoys dabbling in claiming horses. “The claiming horses are like what Abe Lincoln once said: ‘God must have loved the common man because he made so many of them.’ The same can be said of claiming horses,” Ramsey said. 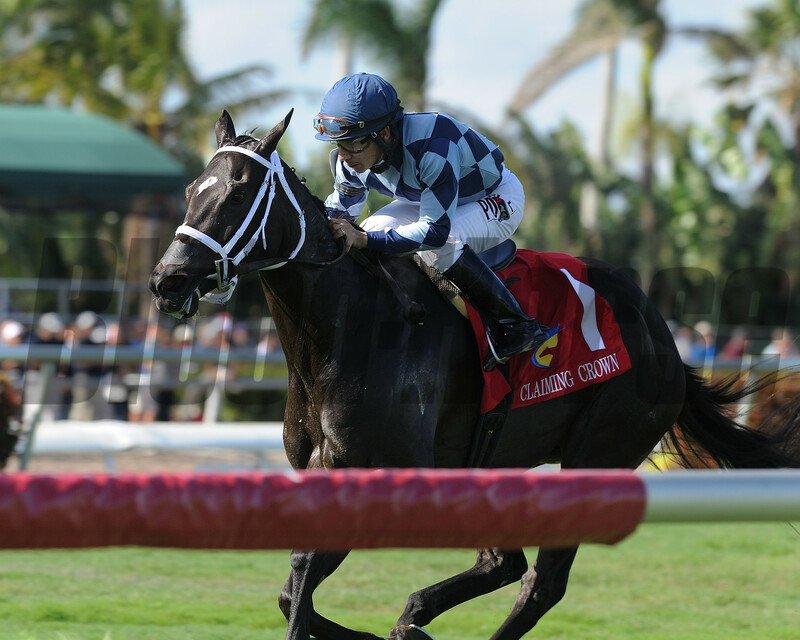 Starsilhouette ($15.40), who had won three races over the Gulfstream turf course during the 2011-2012 meeting, closed with a rush under Garcia to capture the $125,000 Tiara. The 5-year-old daughter of Orientate ran 1 1/16 miles on turf in 1:42.85 to win the race for fillies and mares who raced for a claiming price of $25,000 or less by 1 ¼ lengths. Brother Bird ($9.80) overcame the No. 12 post position under a perfectly executed ride by Joel Rosario to register a ¾-length triumph in the $100,000 Iron Horse, a race for horses that raced for a claiming price of $7,500 or less. 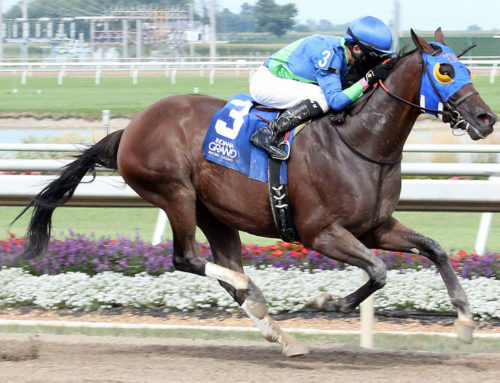 The Maker-trained 5-year-old half brother to 2009 Kentucky Derby winner Mine That Bird ran 1 1/16 miles in 1:43.58. 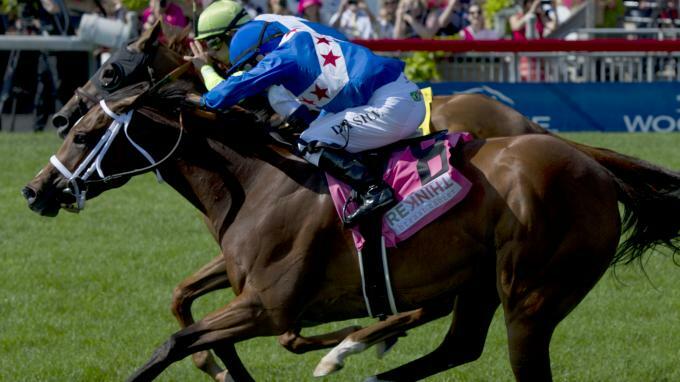 Brother Bird, who once raced for a $5,000 claiming price, was claimed three starts back by the Ramseys. One race later, the Maker-Ramsey team visited the winner’s circle with Bernie the Maestro, who captured the $100,000 Rapid Transit by 2 ¾ lengths under Rosario. 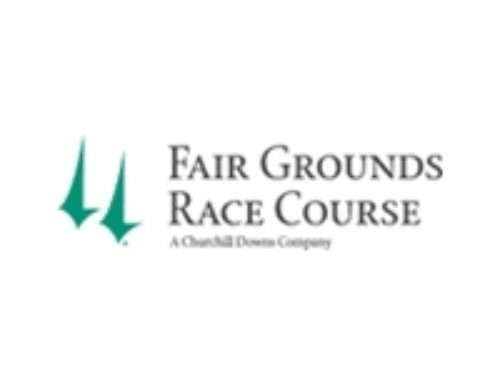 The 5-year-old gelding ran seven furlongs in 1:21.60. Both Brother Bird and Bernie the Maestro wore the No. 13 saddle towel. “Thirteen is not an unlucky number if you have a horse good enough to wear it…and a jockey good enough,” Ramsey exclaimed. 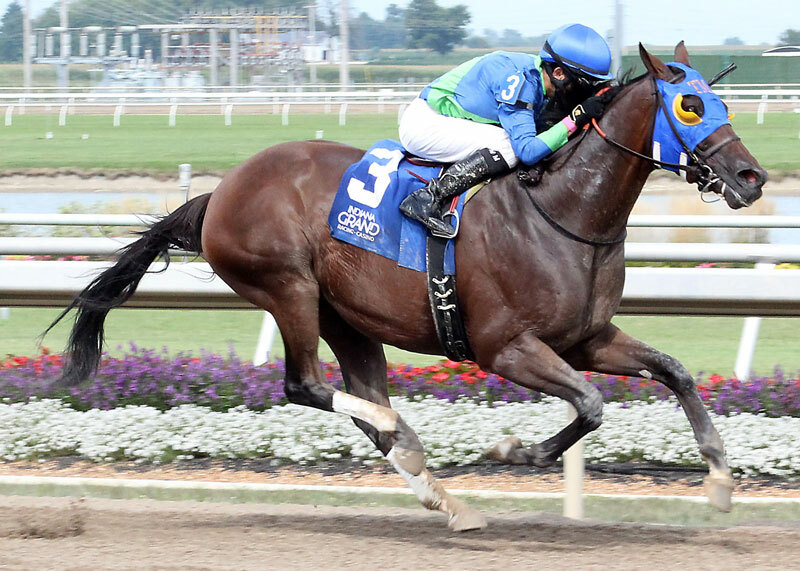 In the $100,000 Glass Slipper, Chasing Tails Stables’ Starship Truffles ($12.20) won for the sixth time in eight starts since being claimed for $6,250 on July 4. The Marty Wolfson-trained 3-year-old filly ran seven furlongs in 1:22.26 under Luis Saez to prevail by four lengths in the race for fillies and mares that have raced for a claiming price of $16,000 or less. Joey Merritt’s Tiban ($6.20) employed a strong rally through the stretch run to post a half-length victory in the $100,000 Express to get the Claiming Crown underway. 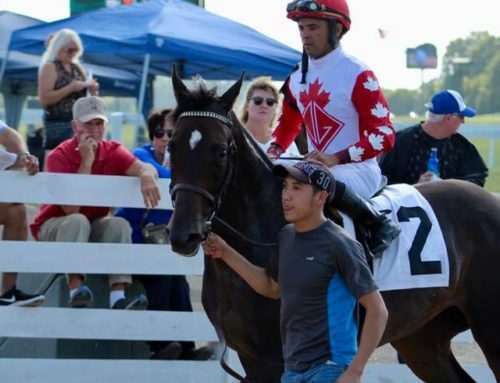 Ridden by three-time Kentucky Derby-winning jockey Calvin Borel, Tiban ran six furlongs in 109:91 in the race for horses that started for a claiming price of $7,500 or less. 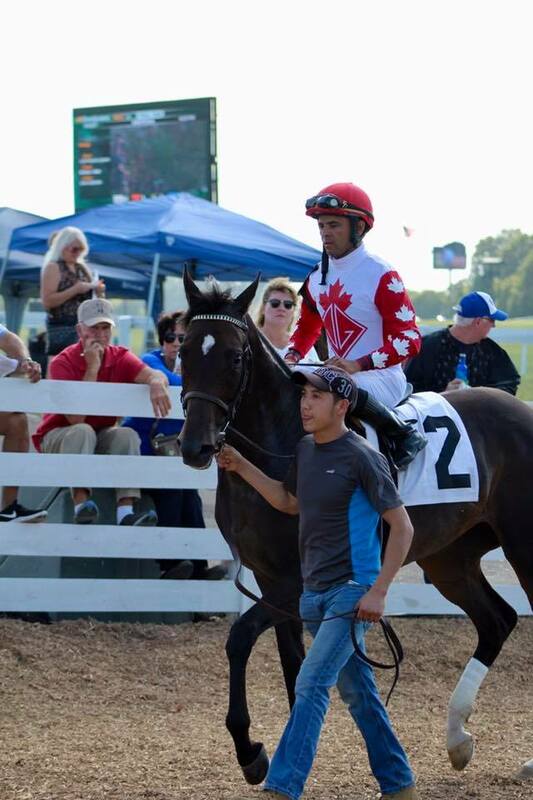 Trained by Tim Glyshaw, Tiban captured his fourth race since being claimed for $7,500 on May 19.